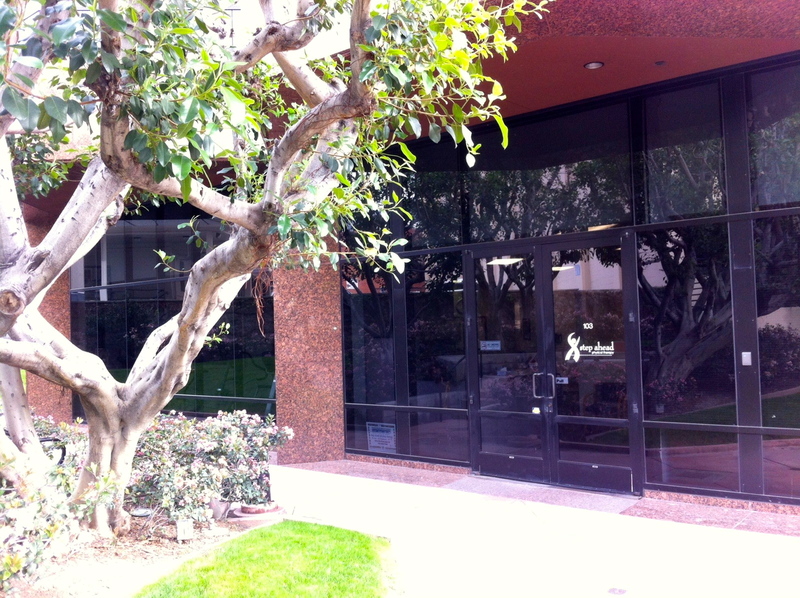 Step Ahead Physical Therapy, Inc. is conveniently located in Downtown Burbank on the corner of Olive Avenue and First Street, in the Chase Bank building. Free public parking is available in the parking structure located on Orange Grove Blvd. Approaching the parking structure from the west, use the second driveway. If you are approaching from the east, use the first driveway. We are located on the ground floor with our office facing the courtyard and parking structure.